Whatever the emergency, contact us. 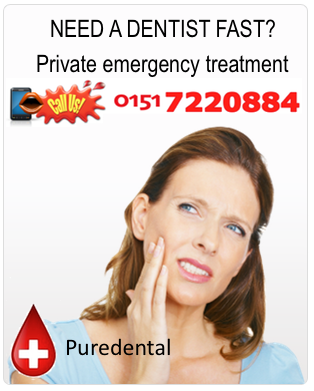 Here at Puredental we deal with anything from broken and chipped teeth, to knocked out teeth, damaged dentures, abscesses and more. The important thing is taking action and not delaying treatment. Attempting to treat yourself or simply ignoring your issue can lead to the development of a serious condition which can affect your health and will invariable escalate treatment costs. If in doubt, please contact us and let us diagnose your issue so that you can make an informed decision and take action accordingly.